Please note: This item is close out. No warranty. You maybe shipped at random either 24 button or 44 button even if you select which style. *Color changing, fading, brightness controls wirelessly through remote. *Great for many different applications! *When installing just line up the marked arrows. *You can choose different solid colors, solid white, flashing, strobing, adjust brightness, and on/off all from the wireless remote. 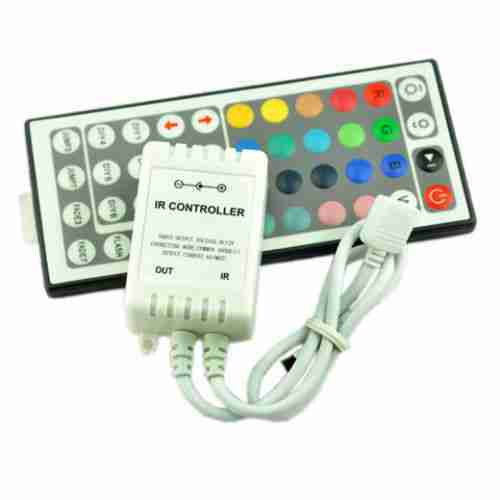 *This simple to used 24-key RF RGB controller is used to control our RGB flexible LED strips. 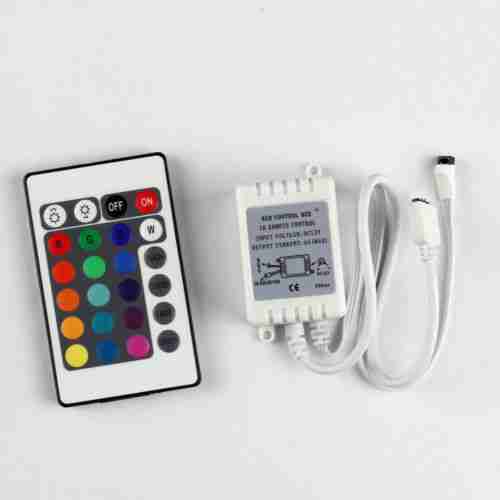 *It has 16 Static colors and 4 color changing modes. *It also could adjust the brightness of the static color and change the speed of the color changing.